For over 30 years, Dynamic Fan has had the good fortune helping countless clients with their commercial and industrial fan needs. Originally, we started our company in Roselle, but we now have an expanded facility in Pine Brook, NJ. We have the expertise, experience, equipment and workers to handle all types of industrial fan projects. 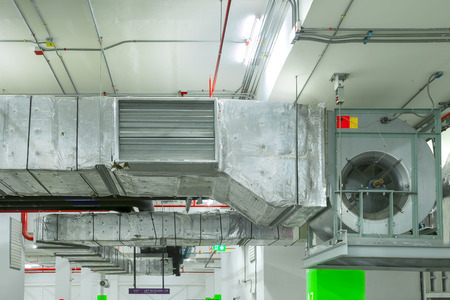 We provide a variety of commercial and industrial fan services, including but not limited to commercial and industrial fan installations, repairs and retrofits. We also supply and sell needed replacement parts, and we can provide you with system analysis and design plans to make sure your air flow system is working properly and efficiently. The number one thing that has led to our success is our customer first philosophy. We give each project the detailed attention it deserves to make sure everything is done right, and that your fan system will serve your business well for years to come. Our company strives to be the go-to company for all of your air flow needs. If you would like to learn more about our company or if you have any questions about how we can help your business with our commercial and industrial fan services, contact us today.